Our group is led by Margaret Perkins and she is supported by an array of other willing and able committee members. It’s a very inclusive group and new members are always welcome; you don’t have to be a mother or even female to join! The Mothers’ Union is a global Christian movement working with people of all faiths to develop communities, strengthen families and advocate for change. We thank you for your love so freely given to us all. We pray for families around the world. Bless the work of the Mothers’ Union as we seek to share your love through the encouragement, strengthening and support of marriage and family life. 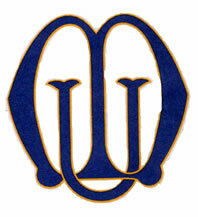 The Mothers’ Union was founded in 1876 by Mary Sumner. She wanted to create an organisation for women that brought together rich and poor to build a network that would support mothers of all kinds as they brought up their children in Christian faith and her founding principles still hold true today. The Mothers’ Union works worldwide in 84 countries in partnership with churches to serve God in local communities as well as with practical help such as supporting baptismal families. We have a network of diocesan chaplains supporting the faith of our members, as well as acting as a link between the Church and Mothers’ Union. Our Central Chaplain supports both members and staff as well as being our advocate within the wider Church. We are one of the Anglican Mission Agencies and our members play a vital role within the Anglican Communion, as our Patron The Most Revd Justin Welby, Archbishop of Canterbury says “Mothers’ Union is the heart and love of the Church”. Locally, we support the church in many ways such as providing refreshments at events, fundraising for various MU charities such as Make a Mother’s Day and AFIA (Away From It All) – a holiday scheme for disadvantaged families – and of course, our branch of MU were extremely active in crocheting and sewing over 1800 poppies on to the netting for our magnificent poppy display to commemorate the centenary celebrations to mark the end of WW1 last November. 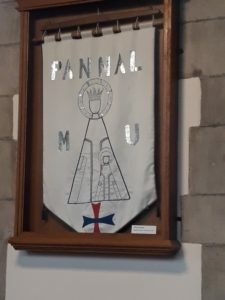 Our branch banner – displayed on the North wall of the nave – is worthy of note. 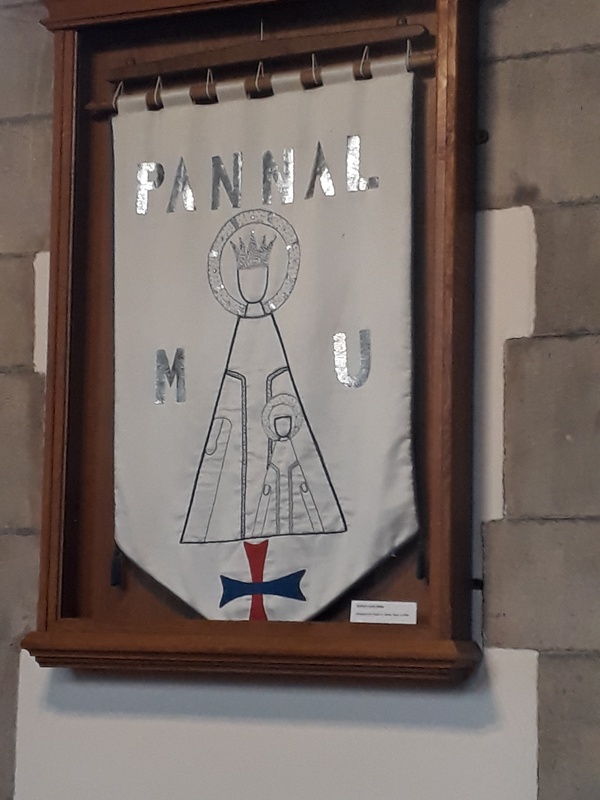 The banner, designed and made by Merle Bown, was commissioned in 1984 just after St Robert’s branch was formed; the subtle and imaginative design, which features St Robert’s Cross in red and blue, symbolises the elements and vessels of the Eucharist, with the figures of Virgin Mother and Child forming patens and chalices.